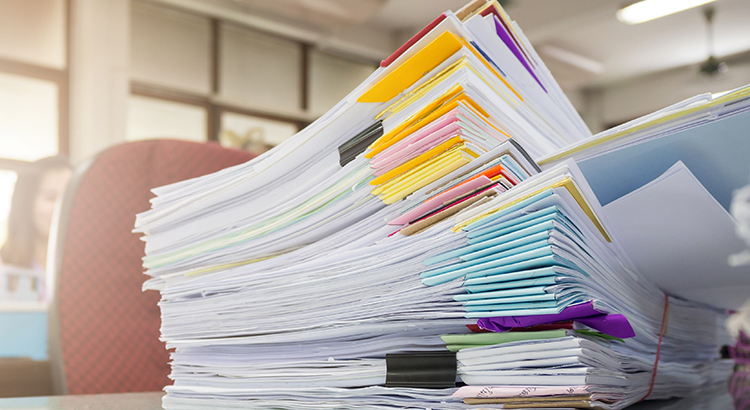 We are often asked why there is so much paperwork mandated by the bank for a mortgage loan application when buying a home today. It seems that the bank needs to know everything about us and requires three separate sources to validate each and every entry on the application form. There are two very good reasons that the loan process is much more onerous on todays buyer than perhaps any time in history. 1. The government has set new guidelines that now demand that the bank prove beyond any doubt that you are indeed capable of affording the mortgage. During the run-up in the housing market, many people qualified for mortgages that they could never pay back. This led to millions of families losing their home. The government wants to make sure this cant happen again. 2. The banks dont want to be in the real estate business. Over the last seven years, banks were forced to take on the responsibility of liquidating millions of foreclosures and also negotiating another million plus short sales. Just like the government, they dont want more foreclosures. For that reason, they need to double (maybe even triple) check everything on the application. The housing crash that mandated that banks be extremely strict on paperwork requirements also allows you to get a mortgage interest rate as low as 3.43%, the latest reported rate from Freddie Mac. The friends and family who bought homes ten or twenty years ago experienced a simpler mortgage application process but also paid a higher interest rate (the average 30 year fixed rate mortgage was 8.12% in the 1990s and 6.29% in the 2000s). If you went to the bank and offered to pay 7% instead of less than 4%, they would probably bend over backwards to make the process much easier. Instead of concentrating on the additional paperwork required, lets be thankful that we are able to buy a home at historically low rates.